It's way past spring, so a wholesale cleaning and maintenance regimen is thankfully in your past. But it's not autumn, either, so you still have plenty of time to relish the distinct look, light and ambiance of your home in the summer. “Vin” your windows. If you said you need to “clean” your windows, you might procrastinate at best and postpone at worst. Mix a 50-50 solution of white vin-egar and water in a spray bottle and make the rounds of your windows. Vinegar packs a powerful cleaning punch, and it doesn't streak. If your windows are caked with dirt, loosen it first with water. Then “vin” away, using a squeegee or microfiber cloth to reveal a glow. Inspect and repair your window screens. As long as you're in the vicinity of your windows and interior shades, check your window screens and a common collecting area for insects: the windowsills. Screen patching kits can make this task as easy as applying tape (and in many cases, it is). Spiff up outdoor lights. By mid-summer, they can get dirty – and even choked with flies and insects. Dismantle them, shake out the dirt and bugs and soak the fixtures in sudsy water. (A utility tub is ideal for this task.) And you guessed it: a parting “vin” will do them good. Refresh throws (meaning light blankets) and throw rugs. By now, they've probably gathered dust, so if you can't toss them into the washer, send them out to a dry cleaner. When they return, finish the job by refreshing and deodorizing your carpet: sprinkle a light layer of baking soda, gently work it in the fibers with a soft tool, let the baking soda settle for at least 30 minutes and then vacuum. Change your air filter. You should check the filter every month, but it's easy to let this important task slip because the unit is often “out of sight” and also “out of mind.” Keeping a few new filters on hand will prevent you from being caught off-guard when a filter is so dirty you can no longer see through it. 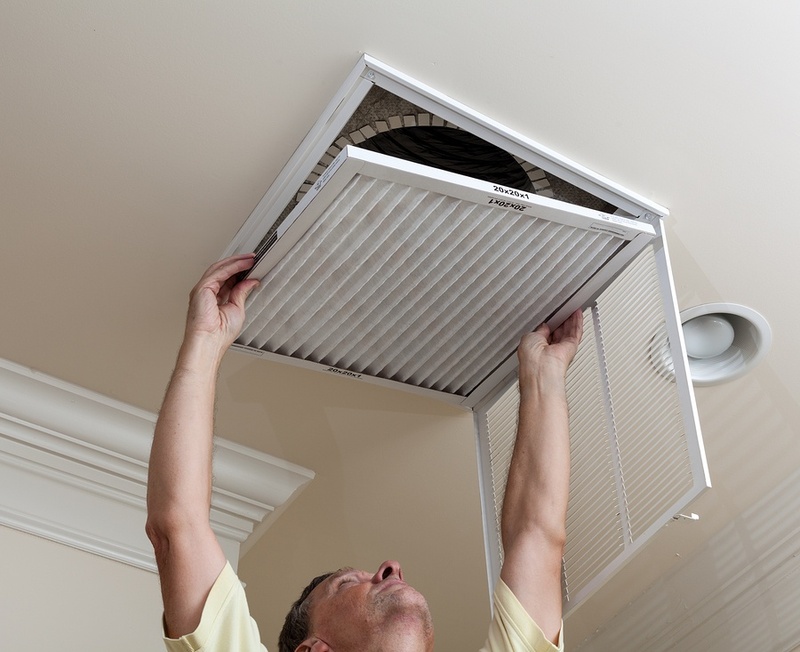 A dirty filter undercuts the efficiency of your air conditioner and affects the quality of your indoor air. Evaluate your window treatments. Are they virtual dust traps? Do they require a high-maintenance cleaning routine? If so, choosing new interior window shades from Polar Shades can give a room an entirely new perspective. We offer a wide selection of interior shades in sheer, semi-sheer and opaque fabrics. Call and make an appointment for a free in-home consultation with a shade expert from Polar Shades – and make the ultimate, mid-summer “tune-up” on your windows. Call 702-260-6110 to get started today.